Wednesdays are his OR day. And we can’t do it the 28th because the 29th is Rosh Hashanah and as the high holy day of the year, you’re not allowed to work on that day. So he’s not doing any surgery the day before to ensure he doesn’t have any patients on that day. She’s sending over the info to the primary doctor for my pre-surgery release info. I told her I just had a physical so that might count as clearance for my surgery or I might need a different appointment. And I need to get in for a blood type/cross in case I need a transfusion during the surgery and I need a final, last-minute ultrasound to see where we are at. But if all that happens quickly enough, it might be the 21st! 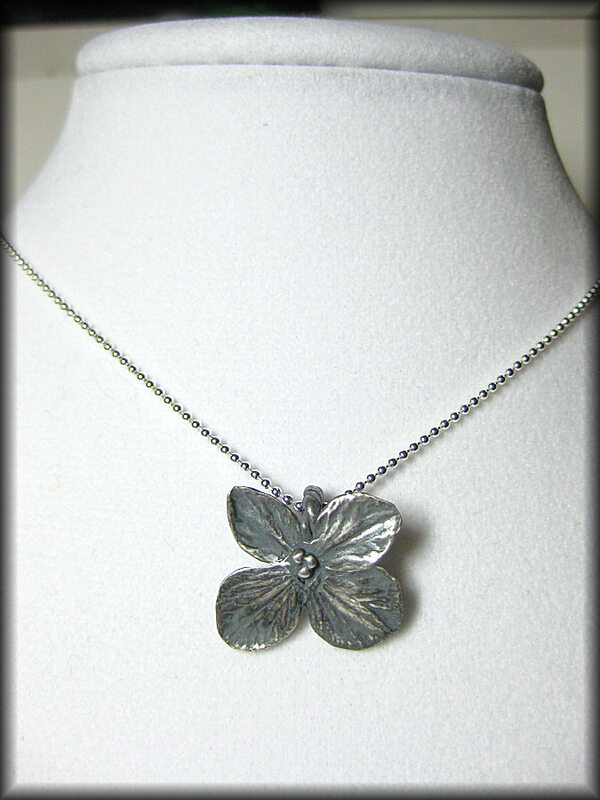 Pure silver Hydrangea Flower Blossom Pendant on 16″ Sterling Chain. Another of our Medical Fundraiser items, this one was donated by Neva and is just gorgeous! I picked and dried this beautiful hydrangea flower and coated it in layer after layer of precious metal clay, then added some little balls to the center. The process took days to complete and the result is incredible. Once fired the leaf and all impurities burn away, leaving behind only silver. Has a nice, natural oxidation and patina. Available for purchase HERE. All items in this shop are donated by members of the PhoenixFunds Team. Proceeds go to paying medical bills for an upcoming hysterectomy surgery for Miss M. Turner. Thank you for your support!! Another of our handmade, donated items for the PhoenixFunds Medical Fundraiser Shop! 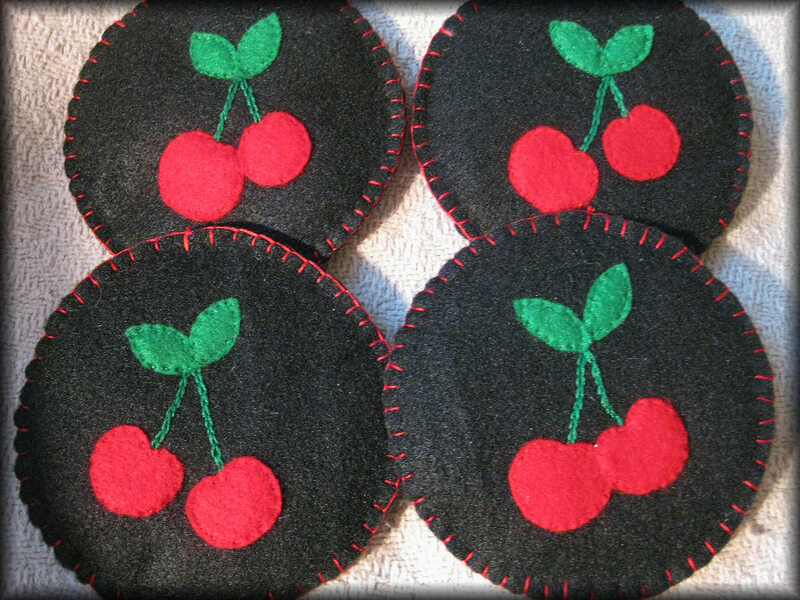 Adorable vintage and 50’s inspired rockabilly fabric cherry coasters. Hand sewn! Black base fabric with bright red cherries and green embroidered stems and leaves. Super cute and fun. Finished edges with blanket stitch. The coasters are about 4.25″ in diameter. Just slightly padded. Very high quality felt. Unique item – one of a kind! Great item for your unique home! Will give a retro touch to your coffee table or counter. Available for purchase HERE. All items in this shop are donated by members of the PhoenixFunds Team. Proceeds go to paying medical bills for an upcoming hysterectomy surgery for Miss M. Turner.